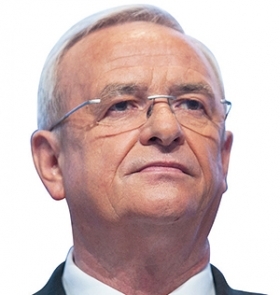 Winterkorn: Complacency cost VW in U.S.
Winterkorn: "We were careless and paid the price." With U.S. car buyers deserting the Volkswagen brand in droves, VW Group CEO Martin Winterkorn has offered up a mea culpa. Speaking to a German car magazine, Winterkorn acknowledged his team became complacent after the initial success of VW's Chattanooga-built Passat, making mistakes that led to a 10 percent sales decline last year in a growing market. "We were careless and paid the price. ... We rested too much on the laurels of the U.S. Passat and were not prepared for the response from the Japanese, who quickly brought a new Toyota Camry or Honda Accord to market," Winterkorn told PS Welt. In October, he told Germany's Der Spiegel magazine that U.S. managers "should have jumped on my desk" to tell him to improve the Passat, adding that his personal focus was now more on the U.S. operations. Winterkorn also conceded that the brand still lacks a model that appeals to the American zeitgeist: "Our greatest successes in the USA, the Jetta and the Passat, are not exactly the most emotional of cars," he told PS Welt. "They are very functional, practical and durable, but we need to find a different way to reach the souls of the Americans."